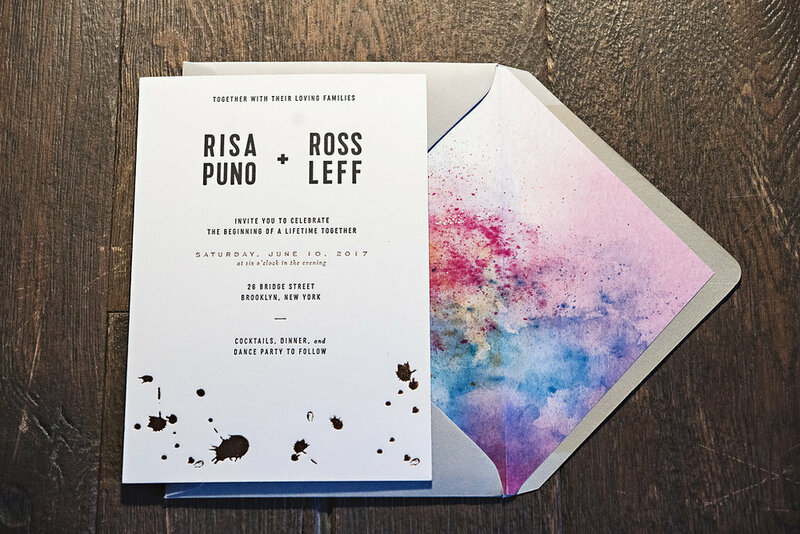 Risa + Ross’ wedding was colorful and bright, just like them and their love. With inspired florals, unexpected color influences and unforgettable design elements, their day was an extraordinary one. Planning and designing this incredible wedding was such a highlight of our year and we are thrilled to share all the colorful inspiration with you. 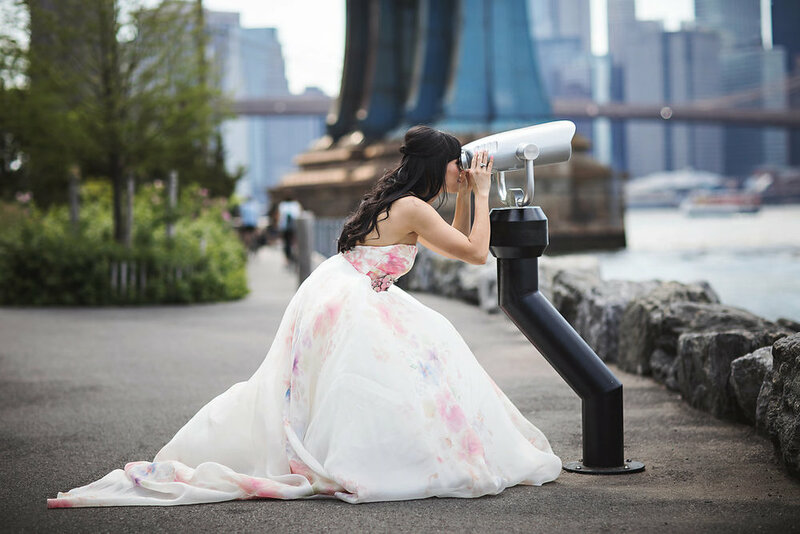 Early in the day, the couple shared an adorable first look at City Hall Park in Manhattan, and then flashed their radiant smiles throughout the best spots in Dumbo. 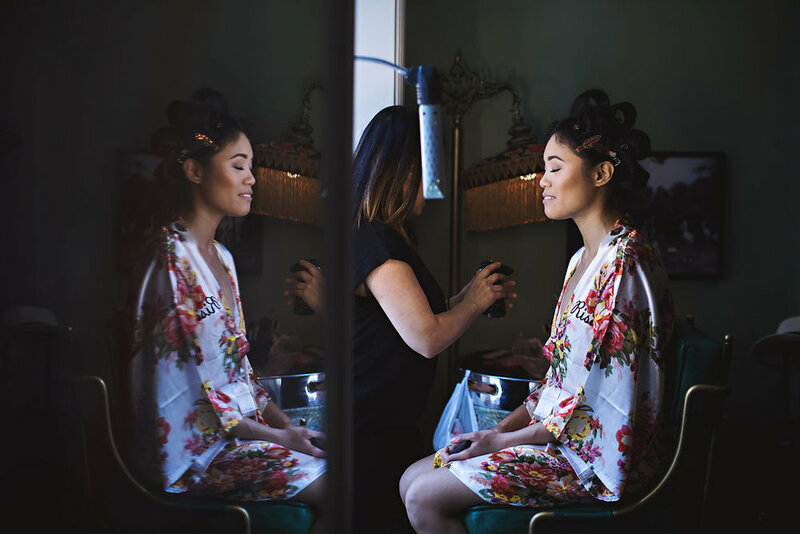 Inbal Sivan caught every iconic shot and adorable look of love. 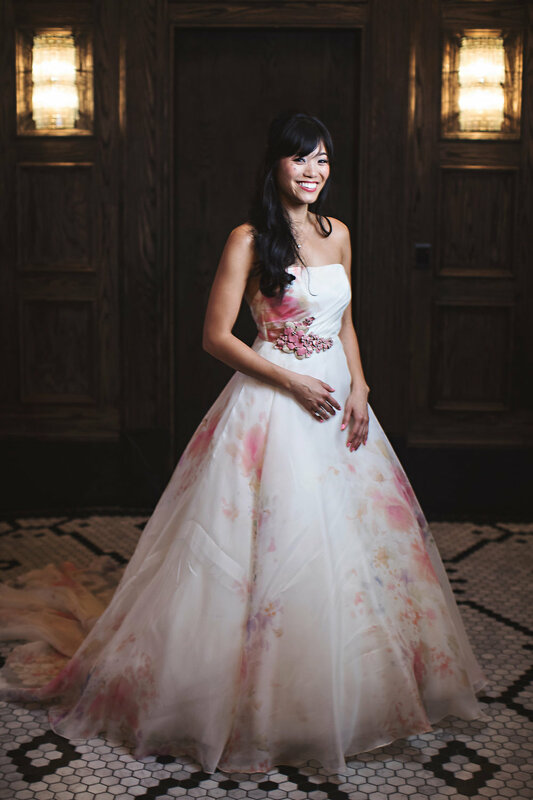 Risa’s colorful gown was the first inclination that this day was going to be something special, and she was radiant in it. We love the unexpected and totally true-to-you style that she rocked. The creative team that came together for their big day was top notch. We couldn’t have asked for a better collaboration. Putnam & Putnam took the colorful palette and ran wild with it. From small buds to tremendous arrangements, every bloom made a statement. And the intricate floral cloches elevated the design in such a creative way. In artistic collaboration, Michelle Edgemont wowed with her powerfully visual design installation. Geometric elements in mostly white allowed the colors of the florals to pop, while its artistic nature provided a unique focal point. All the design elements came together perfectly and made such an impact in the beautiful space of 26 Bridge. The look on the couple’s faces as they saw the space for the first time made it all worth it. We live for that kind of excitement! Guests were not only delighted by the design of the day, but also by the delicious food, sophisticated cocktails and the sparkling rose tower that served as a special welcome. Nine Cakes further impressed with a masterpiece of color and hexagon inspiration. It was the perfect culmination of the day’s design. After all of the dancing and merriment at the wedding, guests followed the couple to a karaoke bar to make even more memories. Such a fun way to end an incredibly joyful day!